Its target audience may be cranky men who wish the show hadn't been brutally murdered back in '89, but this TARDIS case should impress even the most casual of Doctor Who fan. 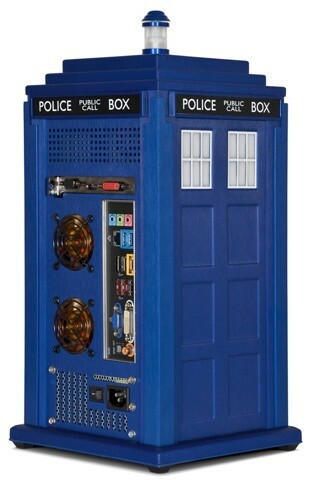 British desktop company Scan has teamed up with the BBC to produce this faithful PC case, complete with broken chameleon circuit. The base model comes with a 3.1GHz Pentium G2120, but you can swap that out for anything up to a 3.1GHz Core i7 if you need more power, after all, you won't be able to jettison Romana's room to crank a few more frames out of Crysis. Prices start from £936 ($1,508) and run all the way to £1,933 ($3,114) for the fully tricked-out version. At the moment, Scan only ship its products within the EU, but we can't imagine it'll be long before rioting fans in the States demand to get their hands on the gear, or, just start building their own.